Chewsi is the whole new way to save big at the dentist — every service, every time. 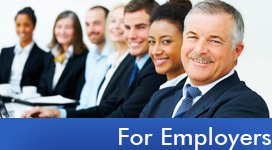 Learn more about how Chewsi can benefit you or your employees at no cost. Visit ChewsiDental.com. ABS offers Health Savings Accounts! • Save with pre-tax dollars contributed by salary reduction payroll deductions. • Growth potential with optional mutual fund investments. • Save with post-tax contributions and take your tax savings on your IRS Tax Return. Advanced Benefit Strategies is an industry leader in Flexible Spending Account administration. Our sole business mission is to deliver hassle-free, Section 125 cafeteria, flexible spending administration…. we live and breathe benefit administration. Our online employee education portal gives you access to everything you could need to take maximum advantage of your account. Enjoy the most of your tax savings to keep more money in your pocket. We take the pain out of benefit administration. Our flexible plan designs and funding options means less work for you, and more accountability on us, so you can focus on what you do best: running your business. We want to be your go-to source for all of your HSA, Flexible Spending, HRA, and COBRA needs. With ABS, you can be confident your client's third party administration is in good hands. Since 1993, Advanced Benefit Strategies has been an industry leader in Section 125 Flexible Spending Account administration, Cafeteria Plans, Transit & Commuter Tax Benefits, Section 105 Health Reimbursement Arrangements, and COBRA administration. For Insurance professionals, consultants, accountants, attorneys, and payroll providers: ABS is your one stop source for all your third party administration needs. 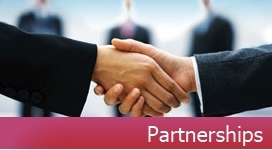 Enter our partnership portal and learn more about what we can offer you. For current and prospective clients: ABS is your solution for pre-tax employee benefits. Learn more about the products and services we can offer your organization and how we take the hassle out of your employee benefit program. Enter our employee portal and gain access to everything you need to make the most of your benefit plan! Quick access to your account balances, download forms, eligible expense examples, and answers to frequently asked questions.